MANAGEMENT STRENGTH at Skinners Brewery, Truro. Steve Skinner, chief executive, left, with Simon Bray, newly-appointed managing director. 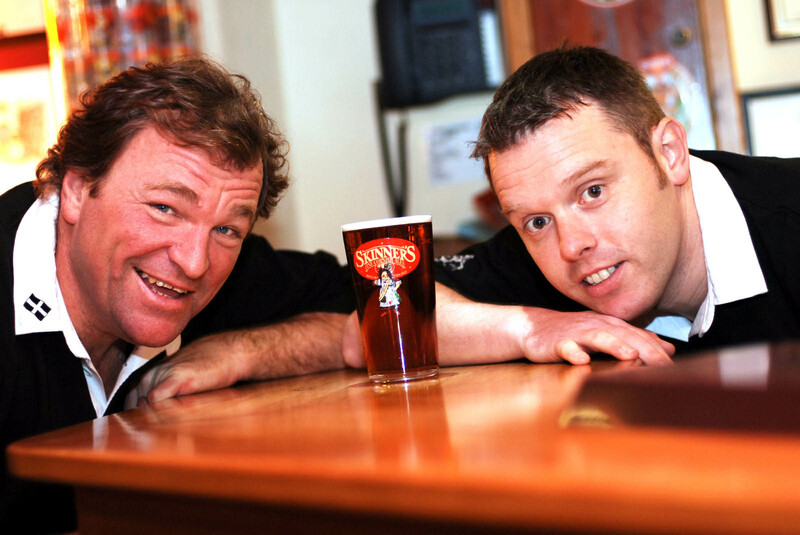 Truro-based Skinners Brewery is gearing up for further success with a strengthened management team and a new nationwide sales drive. Simon Bray, finance director for the past four years, is taking over as MD from Steve Skinner, who will continue to run the company as chief executive. And the company, founded by Steve and Sarah Skinner 12 years ago, is targeting another strong trading year with the help of new contracts with Coors and Waverleys TBS, two of the UK’s largest wholesalers. The moves have been inspired partly by the company’s triumph at last year’s Great British Beer Festival in London, when its best-selling Betty Stogs was judged Champion Best Bitter of Great Britain. Skinner said: “We remain totally committed to our homeland of Cornwall, but it’s an ideal time to look more closely at our sales outside the county and fly the Cornish flag further afield, especially during the harder winter trading months. In 2008, Skinners’ overall sales were up in every month except August, which was attributed to the exceptionally inclement summer weather. The encouraging picture was helped by investment in a new fermenter which increased production capacity by 20%. Skinner commented: “I will still head the company but will be concentrating more on our marketing and sales and strengthening our brands both locally and nationally after Betty Stogs’ fantastic success. “These are exciting times for our brewery and Simon Bray’s financial skills and experience will help guide us through to the next level of business in a difficult trading climate. He will take a more day-to-day managerial role in the business, working with our management team. Betty Stogs’ triumph as Champion Beer of Great Britain was its latest and greatest in a long running series of festival successes since Steve and Sarah Skinner launched their Cornish brewery in 1997 after moving from Jersey, where they had also run a brewery for many years. Betty has won more awards nationally and locally than any other Cornish beer.